Posted October 24th, 2009 by Barry Berndes & filed under Attractions, Attractions in Downtown, Attractions in La Jolla, Attractions in Mission Bay, Downtown, Embarcadero, La Jolla, Mission Bay, Mission Bay & Pacific Beach, Scuba Diving, Snorkeling, Sports & Recreation. Posted August 4th, 2009 by Barry Berndes & filed under Attractions, Attractions in La Jolla, Golf, La Jolla. Posted June 16th, 2009 by Barry Berndes & filed under Attractions, Attractions in La Jolla, Farmers' Markets, La Jolla. Every Sunday, the upper playground at La Jolla Elementary is transformed into a colorful, friendly and wholesome Farmer’s Market. Come and experience the community feel, live music, colorful and creative artisans, diverse Food Court for lunch, and Certified Farmer’s Market fruits, vegetables and flowers. There’s always free parking and we’re open rain or shine! Posted May 21st, 2009 by Barry Berndes & filed under American, American, Banquets & Catering, Banquets and Catering, Corporate Meeting Venue, Happy Hour, International, Italian, La Jolla, La Jolla Restaurants, Party Venues, Rehearsal Dinners, Restaurants, Sports Bar & Restaurant, UTC. Posted April 23rd, 2009 by Barry Berndes & filed under La Jolla, La Jolla Shopping, Shopping. Posted April 17th, 2009 by Barry Berndes & filed under Breakfast & Brunch, Happy Hour, La Jolla, La Jolla Breakfast, La Jolla Restaurants, Ocean View, Restaurants, Restaurants, Seafood, Seafood Fine Dining. 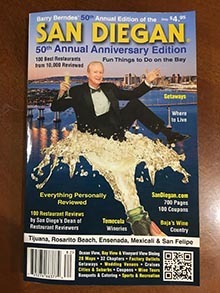 Posted April 17th, 2009 by Barry Berndes & filed under Continental Coastal, La Jolla, La Jolla Restaurants, Restaurants. Posted April 17th, 2009 by Barry Berndes & filed under Continental Gourmet, La Jolla, La Jolla Restaurants, Ocean View, Restaurants. Posted April 17th, 2009 by Barry Berndes & filed under Breakfast & Brunch, Coffee House, Coffee Shops, La Jolla, La Jolla Breakfast, La Jolla Restaurants, Restaurants. Posted April 17th, 2009 by Barry Berndes & filed under Bakery, Banquets & Catering, Breakfast & Brunch, Cakes & Desserts, Catering, Continental, Continental Casual, Continental Gourmet, La Jolla, La Jolla Breakfast, La Jolla Restaurants, La Jolla Shopping, Restaurants, Restaurants, Shopping, Wakes & Funeral. 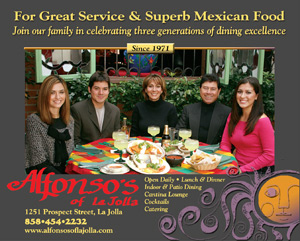 Posted April 17th, 2009 by Barry Berndes & filed under California Cuisine, La Jolla, La Jolla Restaurants, Restaurants. 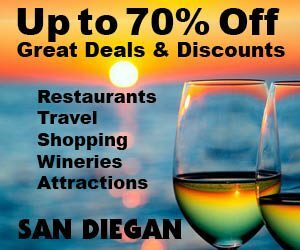 Posted April 9th, 2009 by Barry Berndes & filed under Banquets & Catering, California Cuisine, Happy Hour, La Jolla, La Jolla Restaurants, Restaurants.